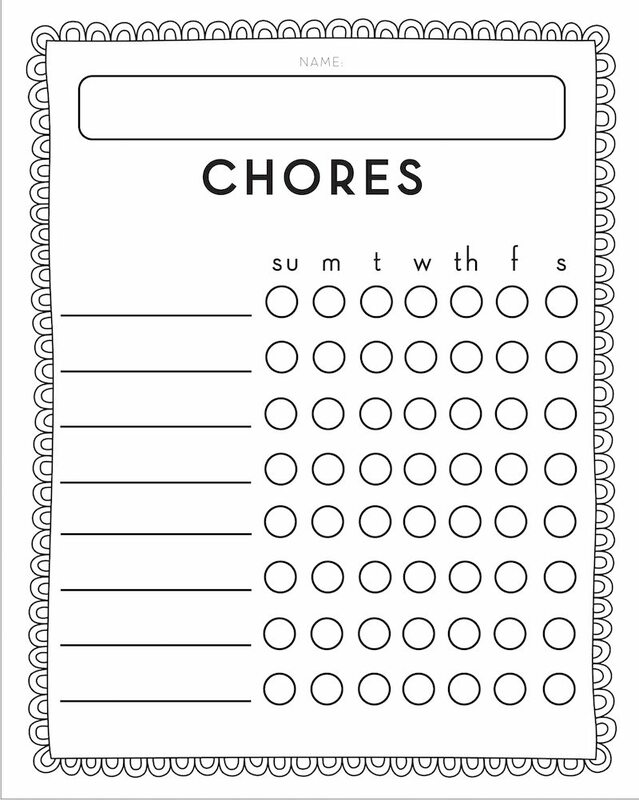 Free Printable Chore Chart - Sincerely, Sara D.
Now that my kids are getting older, one of my resolutions is to have my kids help out around the house more. I have tried various chore charts through the years, but I always manage to not follow through with their chore routine. It takes effort to make chores (and chore charts) happen, and I am determined to make it work this time! 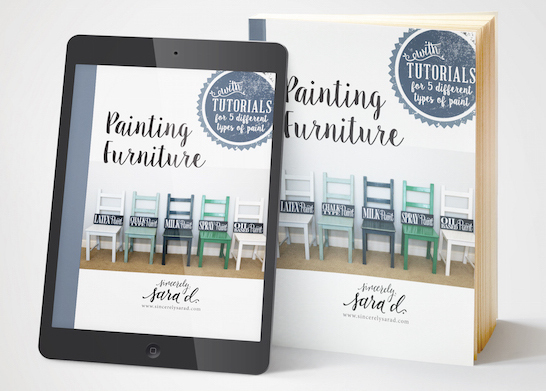 In the past, I’ve made the process too complicated, so I am simplifying it as much as possible. 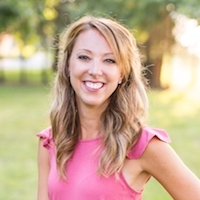 Each of my kids will have certain chores they are expected to complete every day. I also decided to put their chore charts in the bathroom so there is no avoiding them. They will see them several times during the day and hopefully we can maintain these chore charts! I found frames from the dollar store and spray painted them to match their bathroom (Lena has a fancy gold frame in her bathroom). I wrote their daily chores on their charts and framed them. 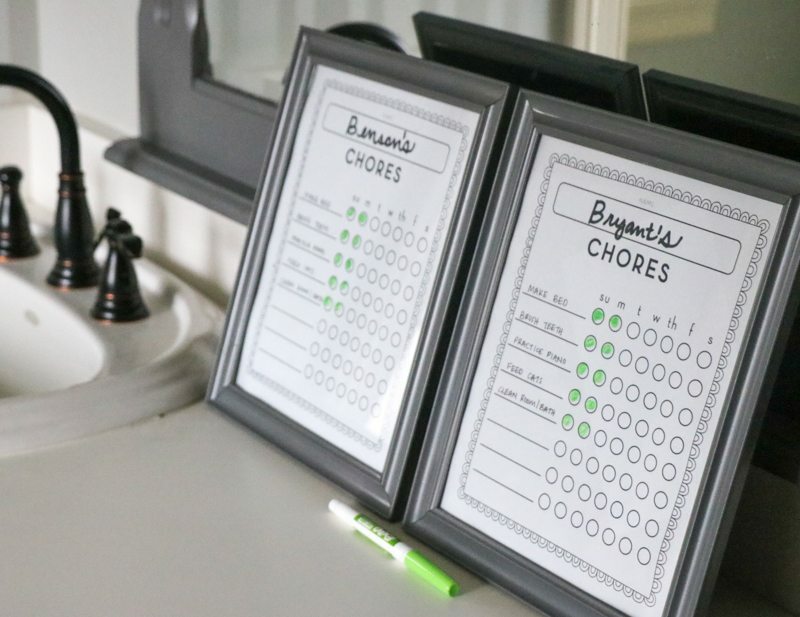 The kids mark off their chores using a dry erase marker on the glass which doesn’t require a new printout until the chores change. My boys are 9 and 11 and share their own bathroom. 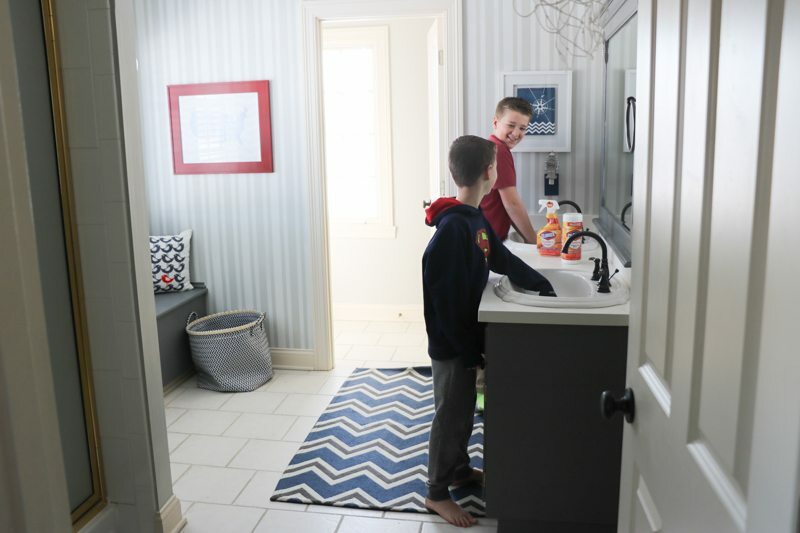 One of their daily chores is to make sure their bathroom is clean. I’m teaching the boys to clean up any bathroom “misses.” Say goodbye to the pee smelling toilet area. Well done on getting your boys to do their own cleaning Sarah! Mine used to but he’s a teenager now and I can barely get him to leave his room, let alone clean anything! 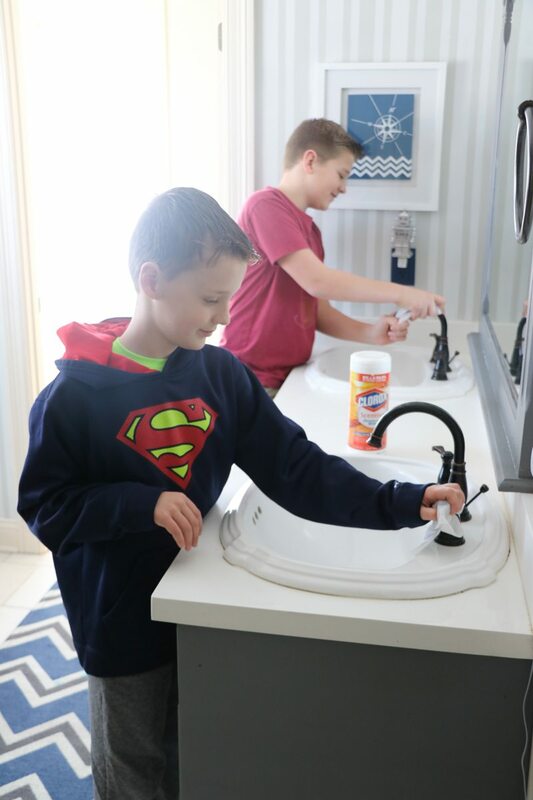 It is definitely a good idea to get kids involved in chores early on, otherwise they turn out lazy and it’s impossible to get them to do anything!